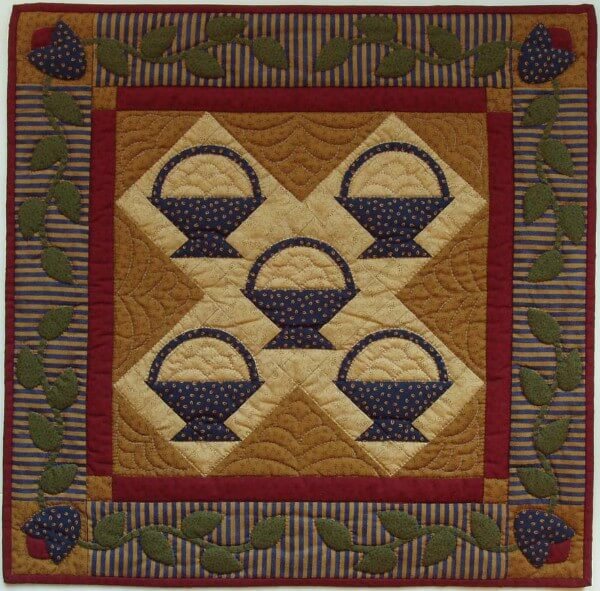 Inspired by the colors and patterns of heirloom quilts, this charming little piece will warm your heart and soul. Tiny baskets filled with piles of quilted feathers are the focus. A meandering vine graces the striped border. Finished size is 22in x 22in. Colors are dark red, blue, green, mustard and tan.